Have you realized that we’re just a month away from Valentine’s Day?! Whether single or in a relationship, this day has always been one of my favorites to celebrate. Who doesn’t love love… or an excuse to eat chocolate and buy flowers, for that matter? Whether heading to a romantic dinner or celebrating with girlfriends, I always enjoy finding a perfectly festive frock for the occasion. Today, I’m thrilled to share this beauty that I found from Modcloth! 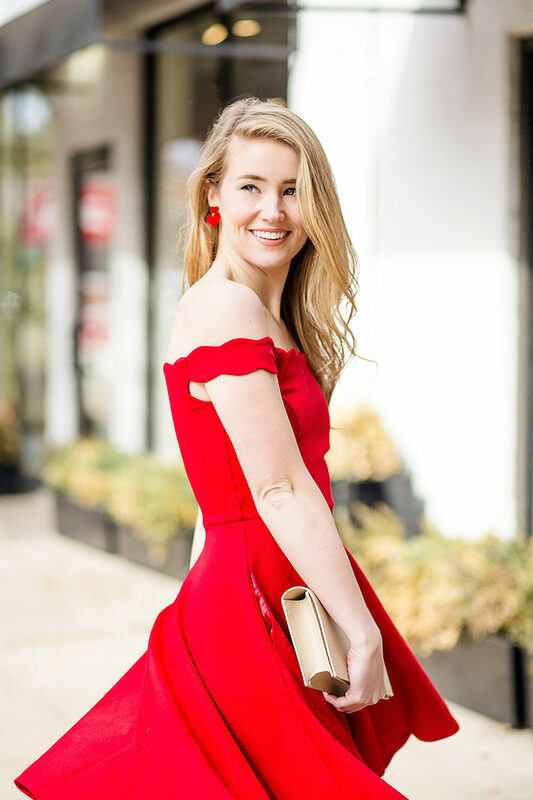 It has everything I love in a party dress… an incredibly flattering fit, classic detailing (hello scalloped, off-the-shoulder neckline) and a jaw-dropping color. I also want to add that this dress is incredibly comfortable, and it has pockets! For a finishing touch, I added these darling heart shaped statement earrings. They add the perfect bit of sparkle to the ensemble! Y’all know that in the past few months, Modcloth has become one of my favorite destinations for adorable, unique pieces for every sort of look and occasion. 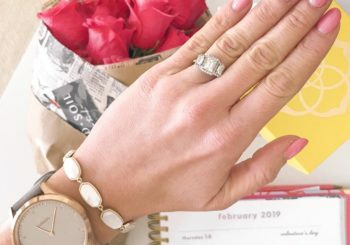 You’ll find some of my favorite Valentine’s Day options below! Thank you, Modcloth, for sponsoring this post. 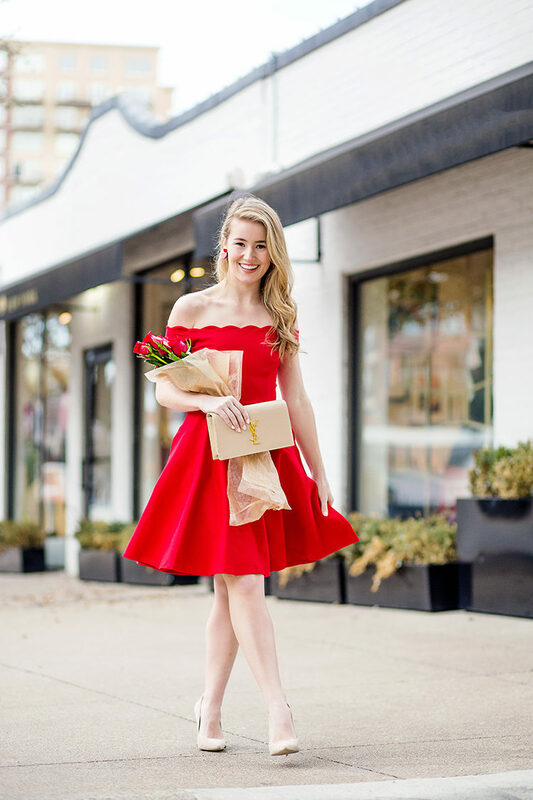 I love this dress on you, Kate- it’s too cute for Valentine’s Day! Loving the colour – it suits you so well! I love it- such a beautiful color on you!!! This looks so pretty on you! I find red a difficult color to pull off, but it’s amazing on you! Any suggestions on where to eat in Dallas for breakfast, as well as for a nice dinner? Red suits you well! Keep up the good work on your blog, I have enjoyed perusing!